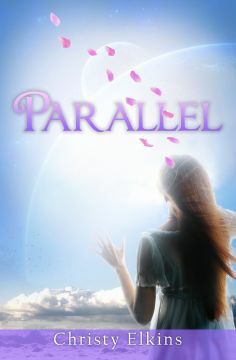 It's a matter of days before Parallel by Christy Elkins will be released by Silver Knight Publishing. I had the pleasure of reading an early version of this book, and it's the last story I read that kept me up all night. I just had to finish it. The book will be available August 21, and I am looking forward to it! Luha Quibodeaux never had much support from her mother. When a tragic event occurs, Luha’s mom makes a stand, reaching out in an attempt to protect her daughter. For the first time, Luha feels the love of her mother. Moments later, as Luha’s life slips away, she comes face-to-face with a woman who appears all too familiar. She soon realizes that this woman—is herself. Everything in Luha’s world suddenly changes as she discovers that nothing is what she thought. In order to truly understand, Luha must let go of all prejudice, and come to terms with the deepest secrets in her own heart.